Right in the heart of London's West End near to some of the most iconic hotspots in London Town, you will find a casino that is so much more than an excellent gambling location. The Hippodrome Casino was voted the 2012 Casino of the Year in the UK and when you walk in to this amazing venue it is easy to understand why. The main gambling hall looks more like a concert hall than a casino with massive lighting fixtures, and balconies going around the edge of the room. Hippodrome is open 24 hours a day, 7 days a week if you have the budget to survive that long! The only time you will find the doors to the Hippodrome shut is on Christmas day. Despite its luxurious decor and reputation, it does not have a strict dress code. Instead they go by the motto: 'wear what you are comfortable wearing, but dress to impress'. The bottom line is that smart casual is just fine and you never feel underdressed in here. Hippodrome Online are offering a £1000 Welcome Bonus to play online or on mobile. 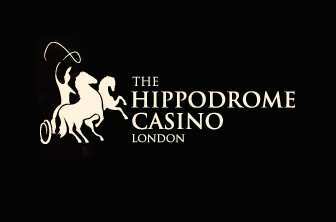 Signup here for the £1,000 bonus or read my Hippodrome Online Casino review for more information on playing their online and mobile games. At The Hippodrome you will find three distinct gambling floors with all the casino games you would expect. The establishment has a whopping 18 Roulette tables, 20 different card tables for anything from Texas Hold 'Em to Three Card Poker. There are five dedicated Baccarat tables and there are 20 different slot machines, all of which are multi-game machines which is just as well as the casino gets very busy and you don't generally want to leave your machine. The Hippodrome also offers five Tombola Roulette machines and 51 Organic terminals with games such as Roulette, Baccarat, Sic Do and Craps. You'll notice a lot of Chinese players in the Hippodrome as it backs onto Chinatown so the baccarat, roulette and slot games are particularly popular at night. Another main attraction at this casino is the dedicated Poker floor. It is open 24 hours a day - just like the rest of the casino - and you can play all of your favourite Poker games here. If you are a smoker and you hate leaving your table when you're on a winning streak you will adore the Hippodrome's outside smoking area. It is not just big and comfortable - they have also put some tables there for you to gamble at. So essentially you have a smokers gambling floor - perfect when the weather allows it. The restaurant opens its doors to visitors at 17:00 every day and it was originally opened by Claire Heliot, famous worldwide for feeding raw meat to lions on stage! The menu was developed by Executive Chef Barry Vera and it takes its inspiration from the building's heritage and offers something for everyone. The menu is well known for taking traditional British dishes and putting an international twist on them. The Heliot cocktail bar is the central hub of the casino and the place to wind down. There is a nice comfy-seated lounge area at the back of the mezzanine behind the bar which is where I head to. Waitress service too although it can be a tad unpredictable if you tuck yourself away round the back there. The bar offers everything from the most basic beers to flamboyant cocktails. The Hippodrome Casino teams up with Pokerstars and is the home to many annual and reoccurring events. They range from the lowest of buy-ins and prizes all the way up to the likes of the Spring Classic Poker Tournament where there is a guaranteed prize pool of £30,000. Pokerstars Live is another event that takes place at this casino and you can qualify via joining a series of satellites or paying the buy-in amounts published on the website. With such a central location and long history they get some great acts in the theatre, put on some good events like the annual Superbowl Party and plenty of poker tournaments. The Hippodrome website has a very up-to-date listing of which acts are performing. The Hippodrome in London sits in one of the most iconic buildings in this city. The casino itself has been voted casino of the year in 2012 and it offers everything and more for gamblers from all across the UK. This is a casino where you can find some of the affluent people in London side-by-side with novice gamblers and plenty of pass-through traffic! The ccasino pretty much just fits everyone, no matter how big the wallet is. The huge range of games on offer is brilliant and you will most likely find whatever game you are looking for if you are willing to look hard enough plus the Heliot restaurant is one of the best London casino restaurants going. A must-visit London casino!